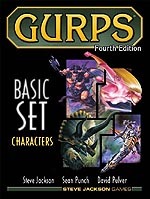 Astute readers of this site – and fans of GURPS – may remember that we added GURPS to DriveThruRPG late last year. Since we talked about what was hot on Warehouse 23 in April last month, we thought we'd poke into what's selling in the world of GURPS on DriveThruRPG. Since GURPS books are still relatively new on DriveThruRPG – and we're still working to bring over the existing library – it's not too surprising that core books are among the best sellers. 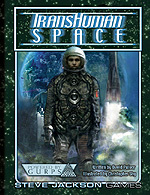 To my eye, the most interesting ones are GURPS Classic: Russia (no doubt picked up by fans of the excellent historical supplements) and Space Atlas and Space Atlas 2 (both of which are useful to folks running GURPS Space campaigns and as world-hopping settings for other games). Around the beginning of this year, we started selling the Car Wars catalog as well. Those aren't represented in the list above, but if they were, then Car Wars – Deluxe Edition would've snagged the #4 spot. With more options to download – and more great goodies to grab – it's never been a better time to be a PDF-purchasing gamer!